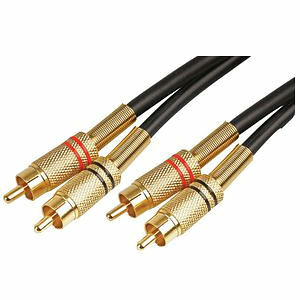 Premium quality 2x phono (RCA) plug to plug connecting lead giving superior performance in Hi-Fi, home cinema and other stereo audio systems. 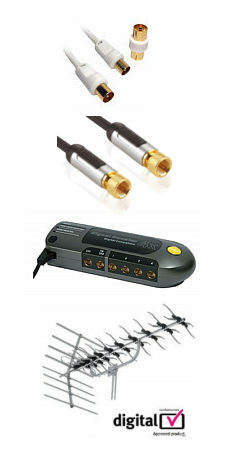 High quality optical lead, 10m, TOS plugs have an attractive black finish and gold plated inner pin. TOSLINK cables are commonly used for optical interconnect between devices such as DVD, blu-ray, Sky HD, TVs and Home Cinema amplifiers / Soundbars, also suitable for game consoles eg PS2, PS3, PS4, XBox 360 and XBox One etc A single TOSLINK cable is capable of transporting a full multichannel digital audio stream such as Dolby Digital 5.1 or DTS. Profigold by Bandridge PGV781 high quality 0.75m flat cable scart lead. Enjoy crisp colourful pictures and high fidelity sound with this top notch interconnect and at an everyday price. 24k Gold Plated contacts ensures optimum signal transfer. 99.96% OFC conductor for high resolution picture quality. IAT interference absorbers for unmatched picture performance. What Video & TV best buy (May 2000 for 1.5m version). Lifetime replacement warranty against design, construction, material &manufacturing defects Perfect for audio and video connections between TV & DVD, VCR, Satellite receiver, Digibox etc.